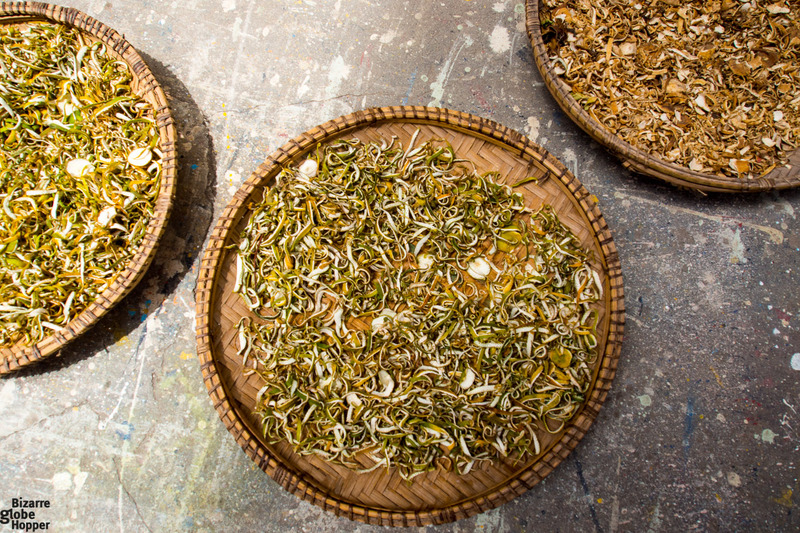 Zanzibar’s signature blend of exotic spices, vibrant colors and the mix of cultures is omnipresent in Stone Town. It’s way too easy to get lost in the sensory overload and idle away hours navigating the crumbling alleyways of Stone Town. 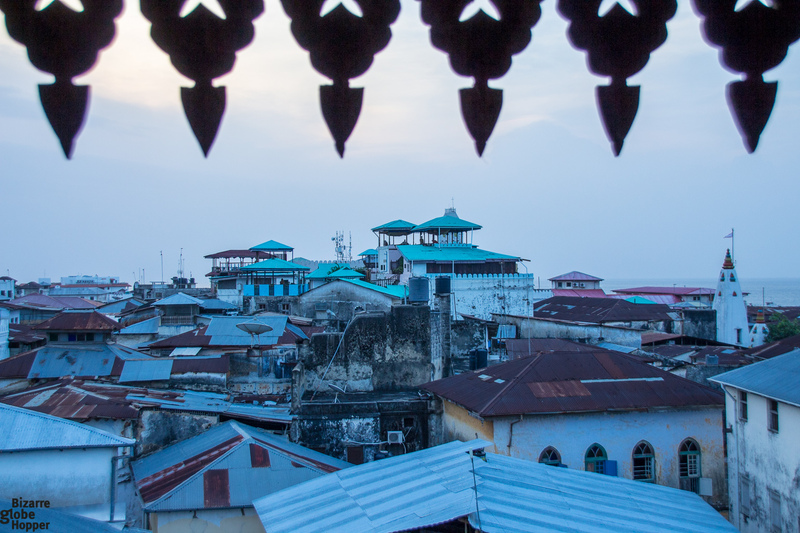 You either love it or hate it, but one thing is certain: Stone Town takes over you. Stone Town is the old town of Zanzibar, an ancient trading post and bustling heart that still gives the whole island its peculiar beat. 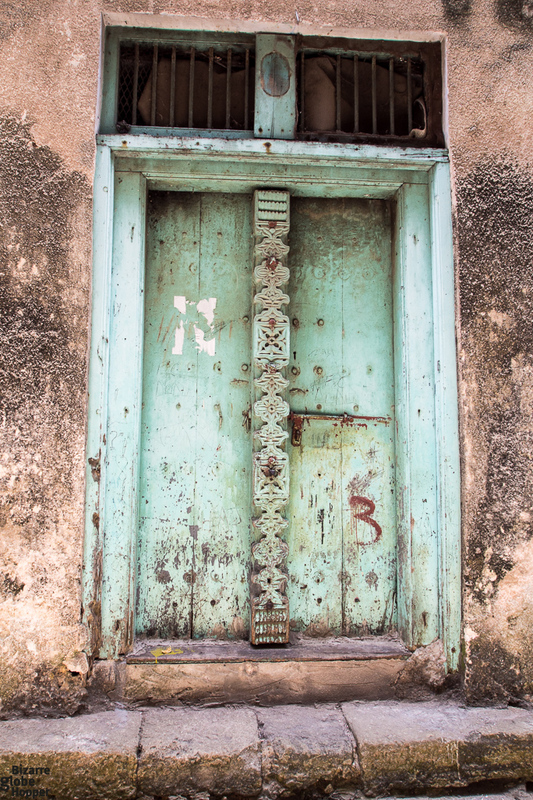 Only in Stone Town, it’s possible to see a Hindu temple, church and several mosques at the same glimpse, and even doors merge in the different traditions. If you love to photograph doors as much as we do, take part in our door hunting in Stone Town. 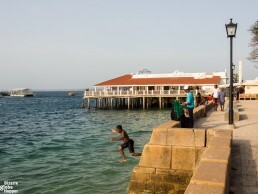 In its heyday, Zanzibar was a stopover for ships bound to Far East and back. History is rich with exotic scents, gold, and divine textiles, but it’s also dark. Two gloomy secrets behind the blossoming economy of Zanzibar have been slave and ivory trade. Unfortunately, there are still traces of the latter. History of Stone Town is rich with exotic scents, gold, and divine textiles, but it’s also dark. 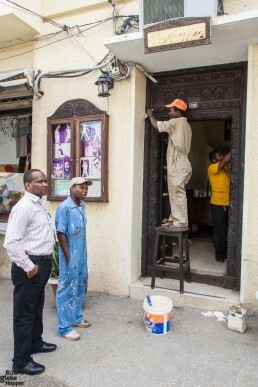 Two gloomy secrets behind Zanzibar’s blossoming economy have been ivory and slave trades. 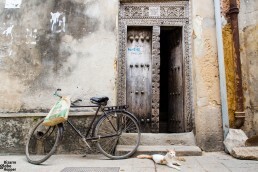 Stone Town is not a paradise for all. But if you know what to expect, you can fall in love unconditionally. Nevertheless, it might be hard to escape the negative sides of this chaotic labyrinth of dingy alleyways. The whole old town is labeled as the UNESCO Heritage site, but the majority of the buildings are decaying fast. 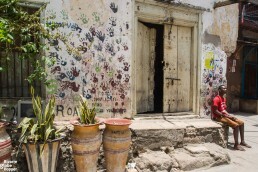 Stone Town is noisy, pushy, and smelly. 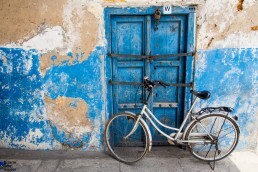 But at the same time, Stone Town can be enchanting and inspiring, if you give it a chance. In Stone Town everything is two-parted. Alluring fragrances beckon to narrow alleys, where they become stinky smells of sewage and rotting garbage. During the rainy season, the charming alleyways swell and rats take over. Hotels shut down for April and May to be opened just before summer season in June. Stone Town is subtle but ruthless. Architecture merges Islamic, Persian, Indian, and Swahili traditions, stealing just the best parts. Prayer calls and honking are blended with constant shouting, as neighbors change their gossip from the wooden balconies. The coral-stoned, ornamental facades tell stories of prosperous merchants and those of the slave trade. 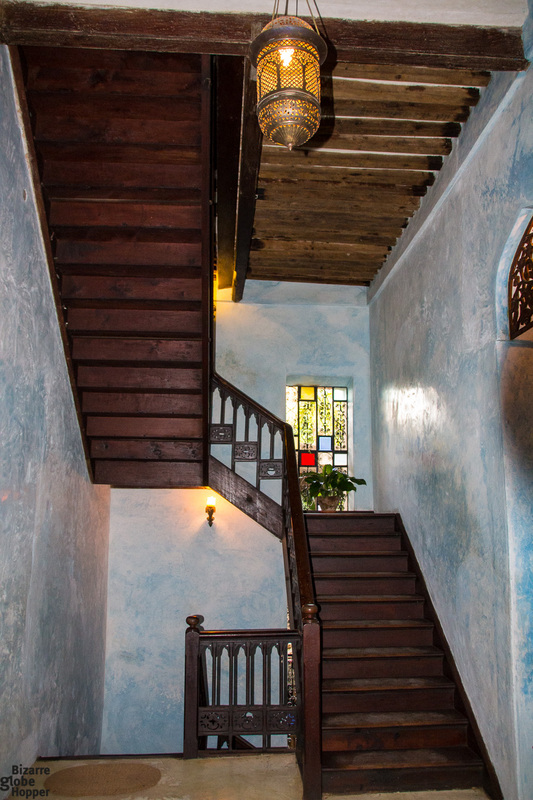 Once fancy mansions have eroded, though some are renovated into quaint boutique hotels. 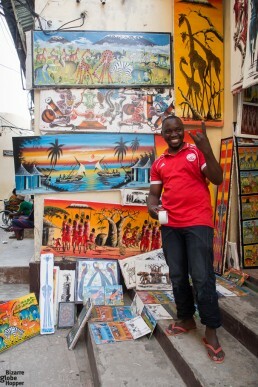 Stone Town is also extremely touristic meaning endless rows of curiosity shops. In the old town, it’s hard to avoid herds during the high season. As a positive side, remarkable cafés and restaurants abound, and there are enough quirky sights to keep you busy for a couple of days. While getting lost in the winding alleys of Stone Town, I swirled from the aversion to admiration but ended up loving the crumbled charm of this chaotic city. 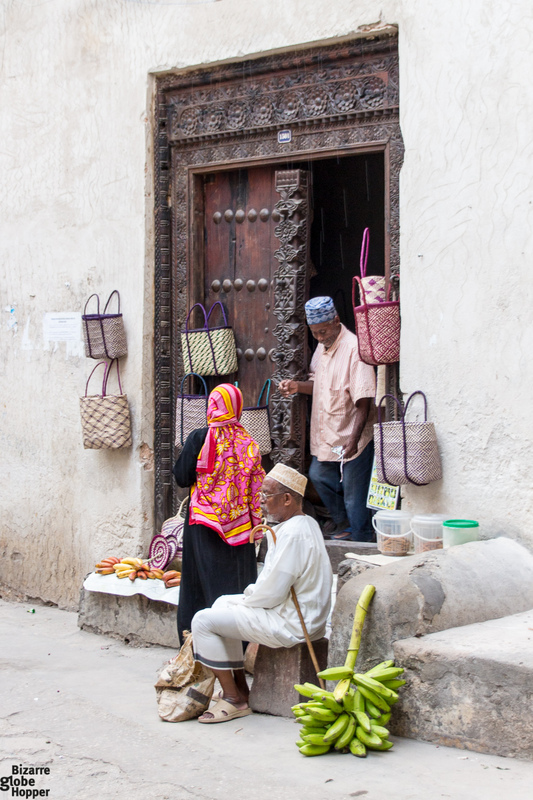 The reality behind the postcard views makes Stone Town even more captivating, in a way. Stone Town is subtle but ruthless. Architecture merges Islamic, Persian, Indian, and Swahili traditions, stealing just the best parts. Prayer calls and honking are blended with constant shouting, as neighbors change their gossip from the wooden balconies. The coral-stoned, ornamental facades tell stories of prosperous merchants and those of the slave trade. 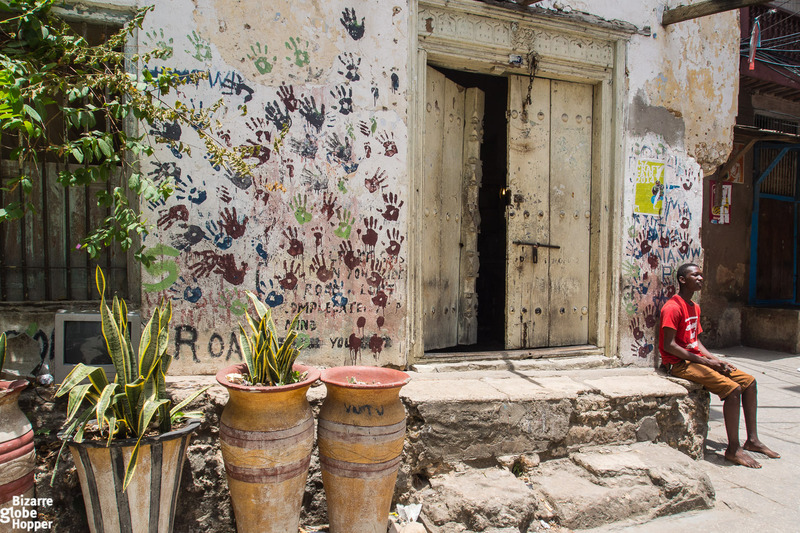 Spot doors while walking inside the maze of narrow streets in Stone Town! 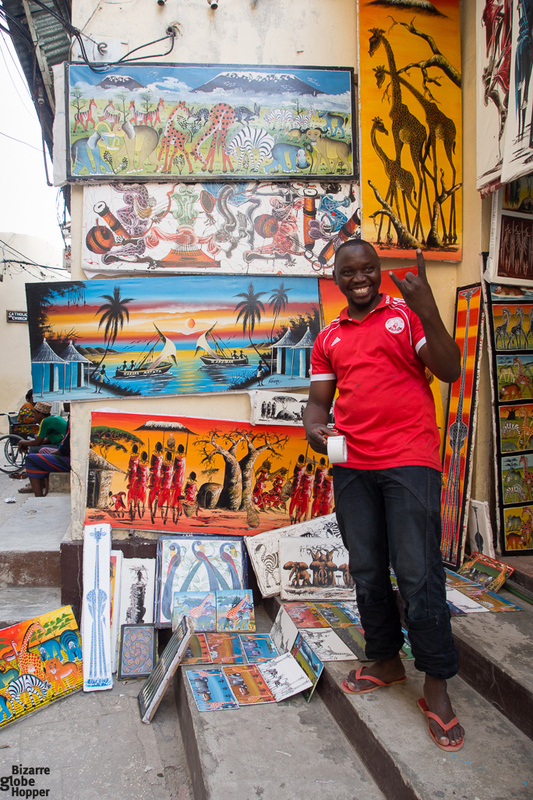 Stone Town’s bustling spice and food market serves as a hub where people around Zanzibar come to sell and buy things they can’t find in their neighborhood. 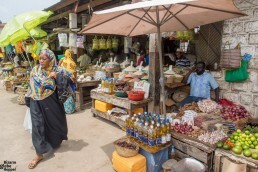 For tourists, Darajani market offers an insight into local life. 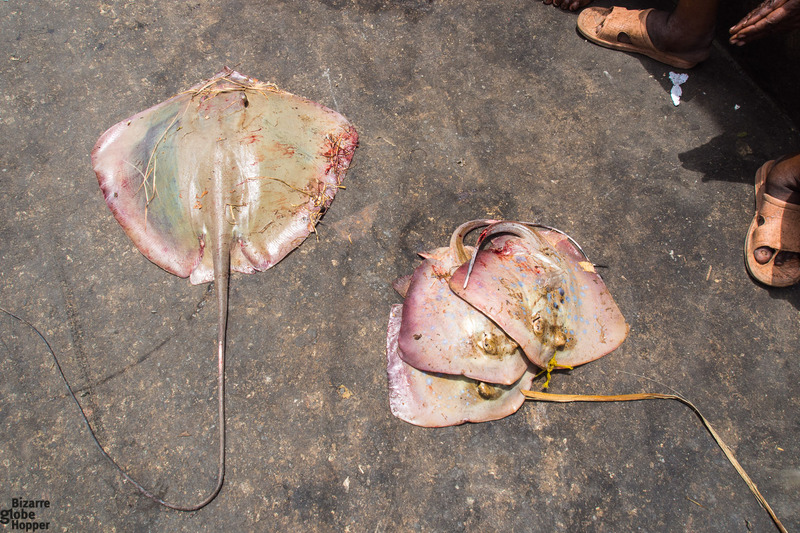 Myriads of exotic fish showcase the roots of these lands: just a couple of hundred years ago Stone Town was a just simple fishing village. At Darajani market you can find everything from spices, fruits, meat and other staples to electronics, cooking utensils and clothes. It’s fun to peek around corners, but don’t expect to find premium spices or authentic goods: most fabrics, shoes, and merchandise are imported from India, China, or the Middle East. 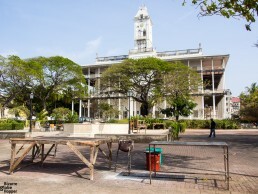 The next sight of Stone Town lurks conveniently almost around the corner. On the site of the Zanzibar’s largest slave market stands an Anglican cathedral, Church of Christ. Zanzibar was once the largest port in the Indian Ocean for Arab slave trade. Slave hunters tracked down their victims from the areas nowadays known as Western Tanzania and the Democratic Republic of the Congo and shipped them to Zanzibar, where slaves were sold to plantations or shipped forward to the Middle East and India. There’s not much left from the dark history, though. The notorious whipping post is replaced with an altar, but two slave chambers can be visited in their original state in the basement of the nearby hostel. You must pay an entrance fee to visit the whole slave market area, including the slave chambers. After some deep thoughts, it’s time to cheer up again. While walking towards the seafront, the perfectly turquoise ocean peeps out through coral faced mansions and lush Forodhani Gardens, putting a finishing stroke to the postcard perfect view. Though the history is dark, Zanzibar has left its mark also as an anti-slavery stronghold. This is where for example Dr. Livingstone led his campaign. Dr. Livingstone made Zanzibar his last home base. He lived on the outskirts of the city, in a mansion that hosted also other missionaries and explorers at the time. Zanzibar was the starting point of Livingstone’s last expedition to the source of Nile. The building, later aptly named Livingstone House, is now the headquarters of Zanzibar Tourism Corporation. Livingstone never made it to the source of Nile, but died Zambia. His heart was buried under a tree on the spot where he died. It’s said that the cross hanging in the Anglican Cathedral has the wood from that particular tree. Since you are visiting the birthplace of flamboyant Freddie Mercury, pay your respects and take a picture of his childhood home. That’s all you can do at the moment since there’s no museum, just a hostel that was going through renovations at the time of our visit. You probably can’t avoid pushy street sellers offering Queen CDs; there are even Freddie Mercury walks available. Many locals claim that Freddie lived in their house before moving to India at the age of nine. It’s widely known that the family moved quite often, but to my knowledge, even the official Freddie Mercury House is said to be a bluff. If you’re in the mood, sip Queen themed cocktail in Mercury’s Restaurant and give a smile to the circus. In the end, it’s quite contradictory that this mainly conservative Muslim community exploits the reputation of someone representing openly gay and liberal values. 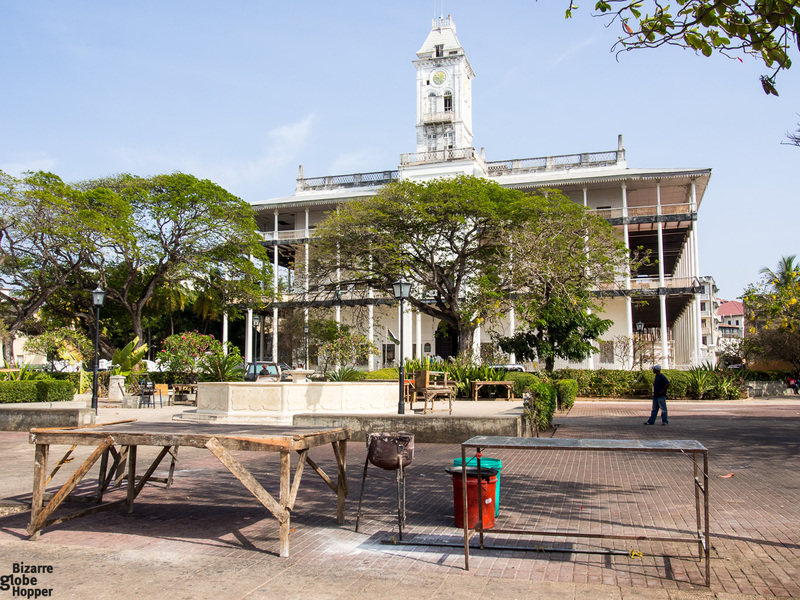 There are still some traditional Stone Town sights left, such as House of Wonders, Old Fort, Old Dispensary and Palace Museum. 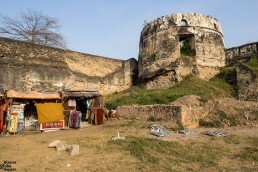 Old Fort is a 17th century stone fortress, but there’s not much left to visit. Wander through a courtyard filled with street vendors and protected by old walls and ponder whether you’d like to visit the other historical buildings. This time we abided by facades and skipped the exhibitions. While walking towards the seafront, the perfectly turquoise ocean peeps out through coral faced mansions and lush Forodhani Gardens, putting a finishing stroke to the postcard perfect view. 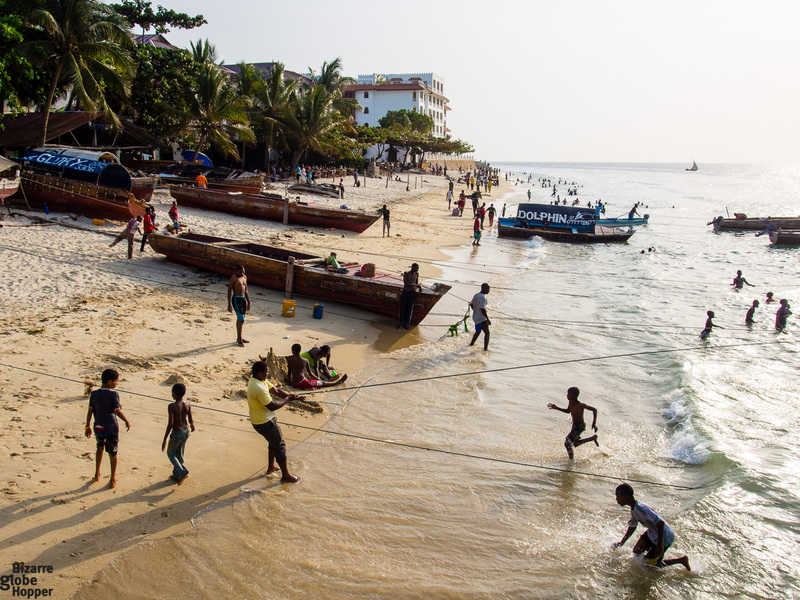 The nights in Stone Town should be spent by just watching the sunset glinting in the Indian Ocean that is speckled with returning dhows. Prayer calls echo from the tall, Arabic walls like they would like to compete with each other. One of the best places to experience sunsets is Forodhani Gardens at the seafront, where you can sample the street delicacies of Zanzibar. 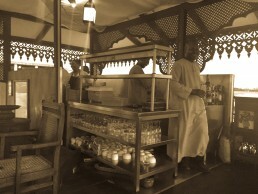 Although food is quite touristic and standards might fall short, the vibe of Forodhani Gardens is impeccable. 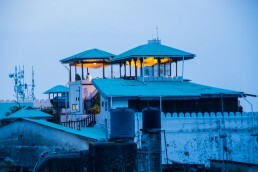 More fancy way to indulge in the Zanzibari cuisine is to book a table from one of the famed rooftop restaurants. 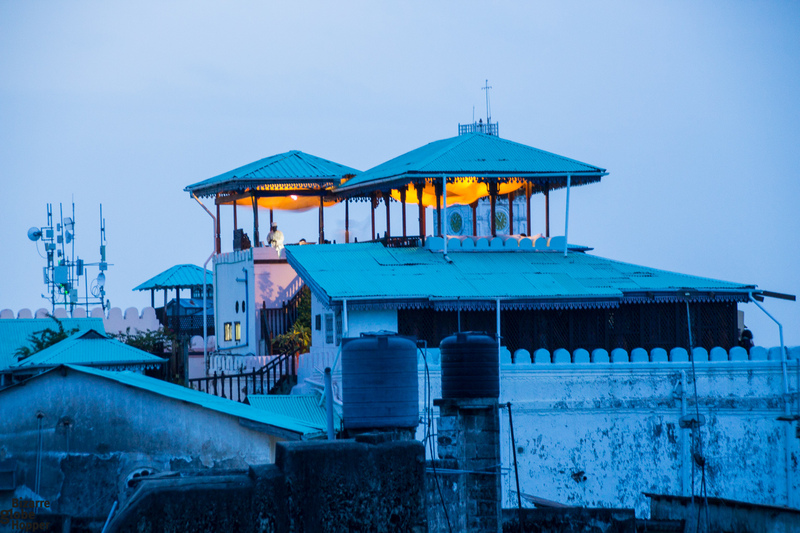 We had a memorable sunset dinner at Emerson Spice, which is the pioneer of rooftop cuisine in Stone Town. Should You Beware the Guided Tours of Stone Town? As we were short on time, we opted to take a guide to show us around. 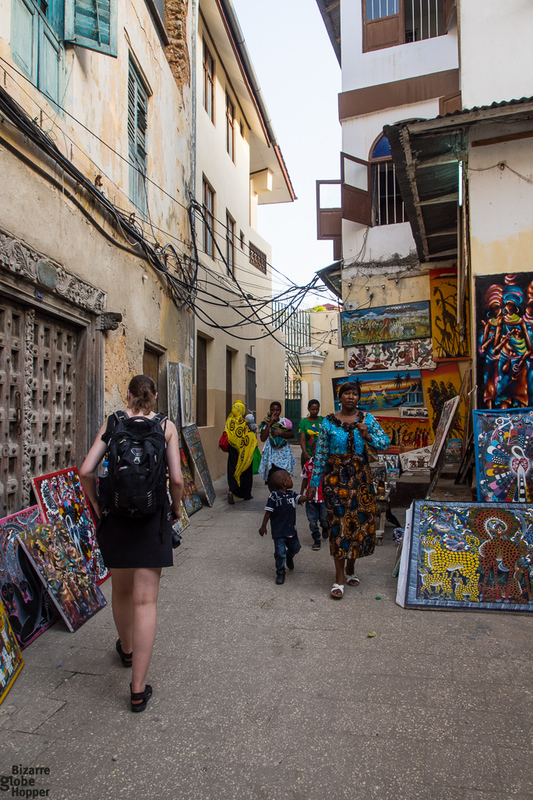 Three-hour guided walking tour gave us a quick orientation to the chaotic layout of Stone Town and rather profound insight to the local life through interesting conversations. There’s plethora of guides available, but I would recommend booking the guided tour through your hotel. Some guides hanging around the Forodhani Gardens are frauds, so pick your guy cautiously and ask for the official badge. 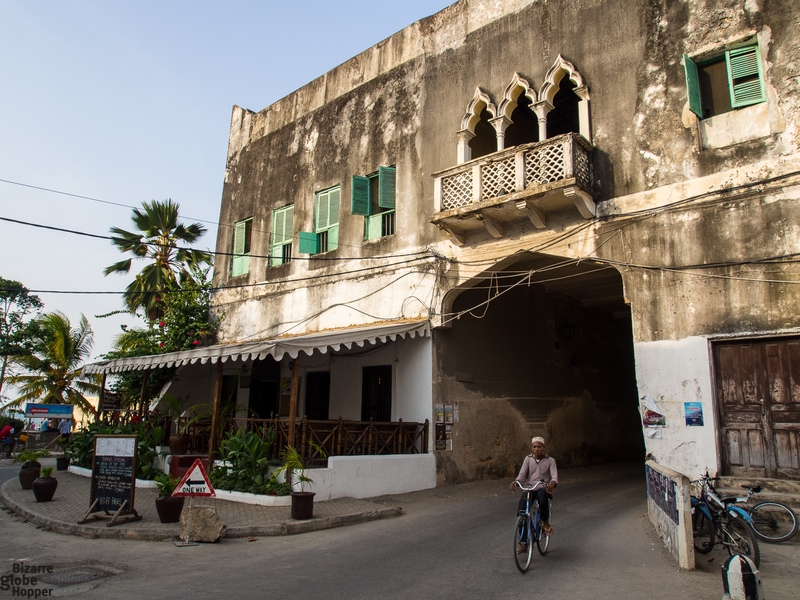 You can end up hating Stone Town, though it’s said to be rare. When you fall in love crazily, it’s more probable to overlook the downsides. If you can see beauty in decay, you can’t resist the crumbling charm of Stone Town. Our stay in Zanzibar’s Stone Town was hosted by Emerson Spice, but all the opinions remain entirely our own. 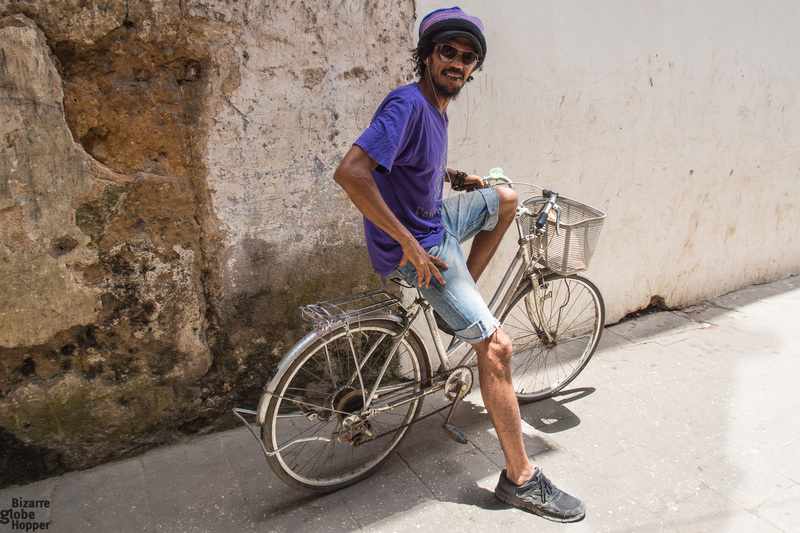 Pin This Stone Town Adventure! Elaborately carved wooden doors tell stories of the residents’ roots, religion, and profession.